Frank Vana Jr. added a 10th Mass. Mid-Am title to his record-breaking treasure trove of Massachusetts golf titles. Sign up for Globe sports alerts! 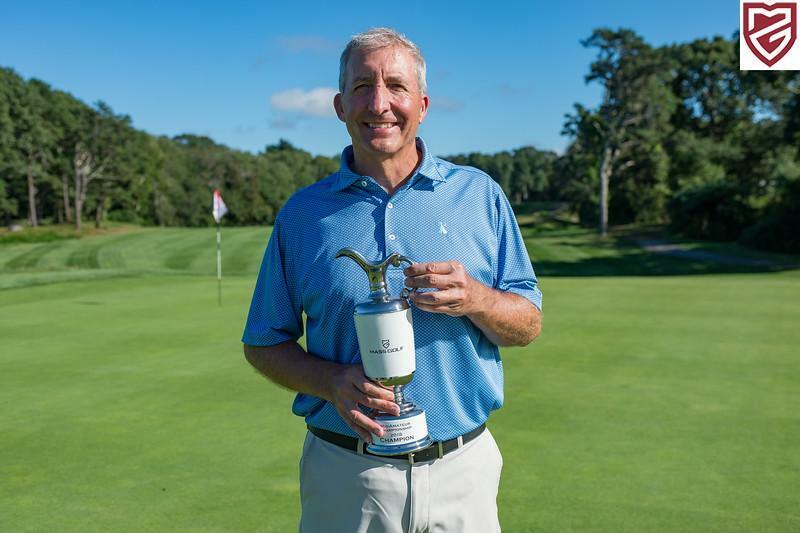 Frank Vana, Jr. of Marlborough Country Club, the winningest golfer in Mass Golf history, continued to create more history Friday when he captured his record 10th Massachusetts Mid-Amateur Championship title. The nine-time Mass Golf Player of the Year sent his approach shot to 2 feet on the 418-yard par-4 18th hole during the first sudden-death playoff hole at Plymouth Country Club. That set the stage for a winning par and a victory over Mike Calef (Pine Oaks GC) and Jack Kearney (Elmcrest CC). The trio all finished at even par 138 following the regulation 36 holes. In addition to his 10th Mass Mid-Am title, it was Vana’s 15th Mass Golf Championship title. No other golfer in history has equaled those two marks. Vana won 10 Massachusetts Mid-Amateur Championships (1999-2003, 2005-06, 2012-13, 2018), two Massachusetts Amateur Championships (2004-05), two Massachusetts Four-Ball Championships (2002-03), and one Massachusetts Father & Son Championship (2003). He was also named the Mass Golf Player of the Decades for the 1990s and 2000s, and in 2016, was inducted into the Massachusetts Golf Hall of Fame. This week’s victory was especially sweet for Vana, who guessed that he has spent more than two decades playing Plymouth County Club at the annual Hornblower Memorial Tournament, but never walked away as champion. The competitors faced two days of inclement weather which forced tournament organizers to reduce the scheduled 54-hole event to 36 holes. Despite the interruptions, Vana put on a display of consistency. He followed up his even-par 69 — played over a two-day period — with a final-round 69 which moved him from a tie for fourth into the top spot along with Calef and Kearney. After making what would be his final birdie of the day on the 331-yard, par-4 13th hole, Vana found himself in trouble off the tee on the 396-yard, par-4 17th hole. He was able to chip from a bad lie and nearly made a 7-foot putt for birdie. He slid his birdie attempt on the 18th hole just past the hole. Calef followed up his first-round score of 3-under 66 posted on Wednesday morning with a 72 Friday. His final round featured a near hole in one on the 291-yard, par-4 sixth hole (his drive off the tee landed 6 inches from the hole), one birdie, and six bogeys. Kearney, who won the Massachusetts Senior Amateur Championship at Plymouth Country Club in 2010, made a 40-foot birdie putt on the 18th hole to advance to the playoff.